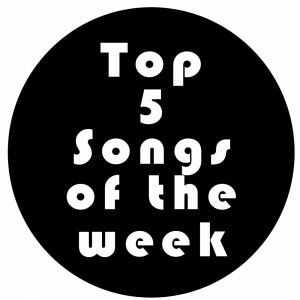 Check out this week’s Top 5 Songs. This week at #1 is a debut by Carly Rae Jepsen. Party For One is taken from her upcoming 2019 album. Have a listen to the October 22, 2018 edition of No Filter on CHUO 89.1 FM. I had a phone interview with DJ So Nice of Buck ‘n’ Nice and For Esmé. Both are in the second hour of the show! This week at #1 goes to Casper Skulls. New debuts from Caracol from Montreal who’s album Symbolism drops this Friday! This week at #1 for the fourth week goes to Robyn. The long awaited track Honey which was featured on the final season of Girls sees the day of light. The title track is taken from the album of the same name which comes out on October 26, 2018. Have a listen to the October 15, 2018 edition of No Filter on CHUO 89.1 FM. Lots of show picks for this weekend in Ottawa. This week at #1 for the third week goes to Robyn. Here is the May 21st edition of No Filter on CHUO 89.1 FM. In the first hour of the show, I had an interview with Jeremy Dutcher. In the second hour of the show, I had an interview with Ian of Bonjay. #29 goes to Casper Skulls. Lingua Franca is taken from their album Mercy Works which came out on November 3, 2017. Today the Toronto band Casper Skulls dropped their first full-length album Mercy Works on Buzz Records.